A Flint nutrition prescription program, where fruits and vegetables are prescribed to young patients by their pediatrician, will expand nationally as a result of the recently signed U.S. Farm Bill by President Trump. Managed by the Michigan State University and Hurley Children’s Hospital Pediatric Public Health Initiative, or PPHI, the program launched at the Hurley Children’s Clinic, a pediatric medical facility, located in the same building as the city’s farmers market. How does it work? Parents of children receive a $ 15 prescription that may be filled for fresh fruits and vegetables at the Flint Farmers’ Market or through the Flint Fresh Mobile Market with delivery to a home or business within the city. To replicate the success of Flint’s program on a national scale, U.S. Sen. Debbie Stabenow included the program in the 2018 Farm Bill, which she co-authored as ranking member of the U.S. Senate Committee on Agriculture, Nutrition and Forestry. MSU researchers in Flint are examining the effect of pediatric nutrition prescriptions on food security, food access and dietary patterns of children. The program is helping children meet their daily fruit and vegetable needs, as well as promoting healthy eating patterns early in their lives. “Given the evidence that higher fruit and vegetable intake during childhood is associated with reductions in chronic diseases in adulthood, the immediate and long-term implications of these prescriptions for pediatric patients cannot be overstated,” Saxe-Custack said. Locally, the program also is being expanded to the Akpinar Children’s Clinic in Flint. Support for Flint’s nutrition prescription program has come from the Michigan Department of Health and Human Services Health Innovation Grant, Rite Aid Foundation and Michigan Health Endowment Fund. 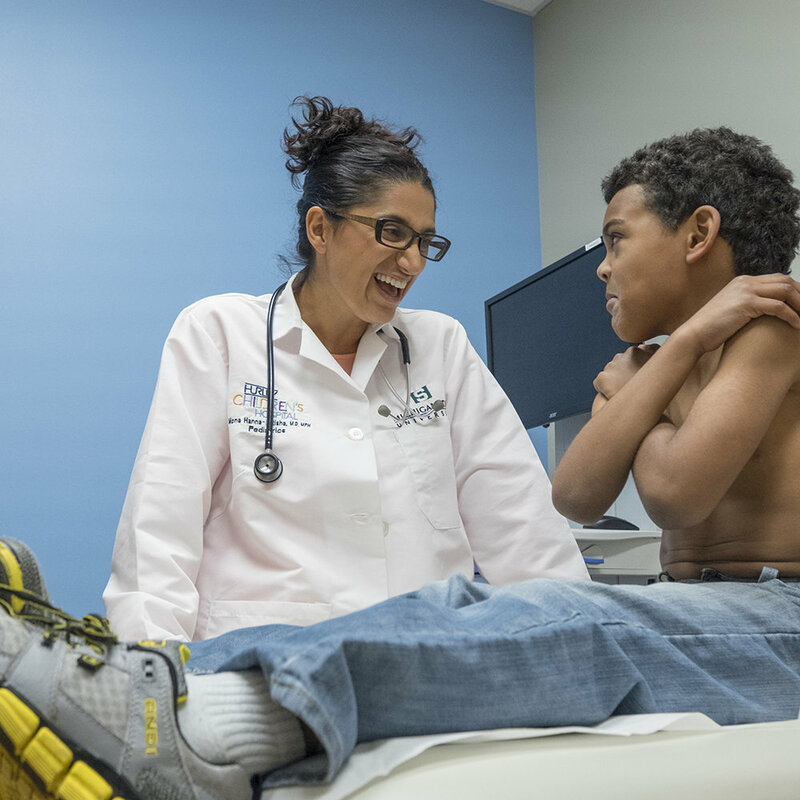 MSU and Hurley Children’s Hospital formed PPHI to address the Flint community’s population-wide crisis and help Flint children grow up healthy and strong. PPHI is a center of excellence within the university’s Division of Public Health and serves as a national resource for best practices.